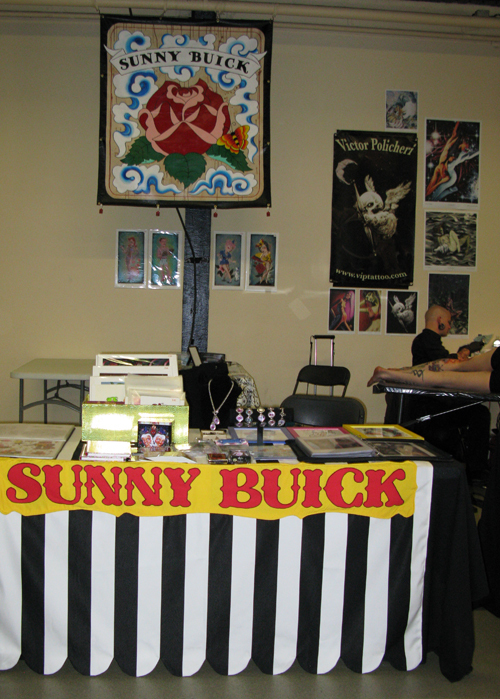 Here’s my booth that I set up yesterday. The banner looks weird so high up, I’m used to the traditional short wall stands where I can hook my banner right behind me. My table cloth is brand new. I had to special order the striped fabric and it came in at the last minute. I think it’s pretty cute! The convention is full of super nice people so far. Pictures of tattoos tomorrow!